Laurie is masterful at what she does. She's a fierce advocate for her clients, and as a first-time home buyer that was especially important to me. She is incredibly knowledgeable about the buying and selling process; she made sure I was well-prepared and knew everything I needed to know. She's efficient, no-nonsense, and straightforward without being pushy. Her assistant is both accessible and amenable. She is well connected and was able to recommend other reliable vendors along the way, who I had great experiences with as well. When I buy or sell again, I won't hesitate to call her! I'd recommend Laurie to anyone! Laurie Mensing is a fantastic realtor and I recommend her for anyone buying or selling a house. Our house was difficult insofar as it backed to the Beltway and had not been well cared for-we assumed new owners would remove it and build a huge new house. Plus, right as we were about to settle, a huge tree fell on the rear of the house. We ended up having to negotiate with the potential new owners to re-build what had been destroyed. Laurie was with us every step of the way and provided us with excellent advice as well as helping arrange for the construction. I cannot image having one through all of this without her expertise. Plus, she is a great person, has a wonderfully competent assistant, and was always there when we needed her. Laurie, it is such a pleasure to work with you and your clients. All of your closing go so smoothly because you have left on detail to chance. I wish every agent was like you! Laurie made my home preparation, and sale and relocation so much less stressful by going above and beyond with her services for our family. Her confidence and ease to work with made what could have been a complicated process much simpler. Laurie is by far the best realtor we have ever worked with. We were moving from the west coast to the east coast and she was always available for us despite the time difference and our limited availability. She completely set us up for our initial house hunting visit and went out of her way to make sure we were represented at all of the necessary appointments prior to closing. Even after we closed she was available to make our move in process happen when we had conflicting appointments. She is honest, fair, and will put your best interests first. We are eternally grateful to Laurie for helping us move into the home of our dreams! Laurie is amazing. She listed and sold our unique, high-priced contemporary style house and guided us at every step, from pricing, negotiating, preparing and staging, to carryout out needed repairs before listing and after the home inspection. She was hands-on from the first day to the last day. We had braced ourselves for a long sales period, as some houses in the area that were comparably priced had been on the market for a year; but Laurie managed the process, worked it relentlessly with excellent marketing and overall management, and the house was sold within 60 days and closed within 90. What more could we ask? 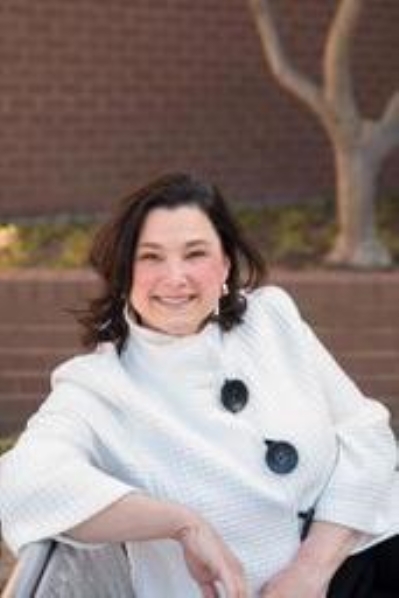 There is a good reason she is one of the most successful and most highly rated agents in the Northern Virginia and Washington DC metropolitan area. Laurie and her staff were superb! The process to find the right home took longer than expected and we encountered bumps along the way. Laurie persevered, had all the answers and stayed ever-cheerful and enthusiastic. The result was a resounding successful purchase! Laurie quickly and efficiently listed and sold our previous house when we relocated out of the Washington, D.C. area five years ago. She was such a wonderful seller's agent, that we happily contacted Laurie again when we recently moved back to the Washington, D.C. area, to help us find that perfect family house. In this case, Laurie really outdid herself, directing us to a beautiful house in McLean which we might have excluded for price, but she expertly and reasonably negotiated for us. I completley trust Laurie as a realtor, and now a friend. She made a real effort to understand what you want in your house, and for your family; she never attempted to push us into a transaction that is good for her, but rather shepherds you gently through the process to find the house that is right for you. I recommend Laurie to anyone who is selling our buying a house, for a professional, friendly and less stressful real estate experience. Laurie did an excellent job for us; was responsive and considerate throughout the process. Her familiarity with the neighborhood and the local market in McLean is unparalleled; we would recommend her without hesitation to either a seller of prospective buyer in the area. Thank you, Laurie! You are the best. I cannot tell you how much we appreciate all you have done for us. I don't know where we would be at this point without your guidance and assistance. Laurie is an absolute gem! She was incredibly helpful and patient as we shopped for our "forever" home, and, thanks to her, we move in this week! Her knowledge of the community was key as we evaluated neighborhoods and options for homes. There was never a doubt that she "had our back" and she negotiated beautifully on our behalf throughout the process. 100% positive experience! Laurie is fabulous! She is extremely knowledgeable and goes above and beyond to help clients. She gave up her holiday weekend to get our sale done. I have complete confidence in her. 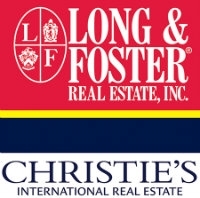 Laurie Mensing was very knowledgeable and helpful every step of the way. She really listened to us and helped us buy our dream house. Couldn't have done it without Laurie! Laurie Mensing was a wonderful realtor to work with. She really went above and beyond for us, which we appreciate, especially because we had a low price point. My praise and opinion of Laurie couldn't be higher! Laurie has the unique ability to be professional, friendly, empathetic, flexible, diplomatic, and organized all at the same time. In short, she is, without a doubt, the best real estate agent we've ever worked with in all of our years of buying and selling real estate. We just had to let you know how very much we appreciated Laurie. In every aspect, she lives up to her motto of treating every transaction as if it were her own. Laurie Mensing was referred to me by a close friend. I hired her as my selling agent and buying agent and am so glad I did. My family was on a tight timeline and Laurie worked 7 days/week and into the early morning to make our deals come together. She established great communication channels, reigned in third parties (lenders, settlement attorneys, other realtors) and made the selling and buying process as pain-free as possible. I passed her name to my closest friends and family and I feel confident that those that work with Laurie will be referring her to others as well. Laurie Mensing was an outstanding realtor to work with. She was thorough, studious, and helped me understand all aspects of the home buying process. I would recommend her to anyone looking to purchase or sell real estate. Laurie, Thank you for your many acts of kindness throughout the period of selling our house. You always went above and beyond the call of duty. Rod and I are eternally grateful to you and will highly recommend you to all we know. We could not have chosen a better realtor. Thank you for your dedicated and exceptional service. Although I work with you in listing my home for rent, you treat my listings as though they were multi-million dollar properties. There is no one I would ever trust more than you in looking after my interests. You made me laugh and appreciate that you didn't make fun of my tears! Your professionalism and ability to get the job DONE was extraordinary! I am so glad we listened to you and your advice. Thank you and all the best to you and your family. Laurie Mensing is the smartest, hardest working realtor I've ever met. She found us a wonderful townhouse, helped us negotiate great terms, and most of all truly listened to what we, as a family, really needed. She is on top in terms of organization, knows her business inside and out, and no one can beat her for energy. I recommend Laurie to everybody! We are so impressed with your skill and know how in real estate, as we are so happy and fortunate to have you as our advocate when we bought our home! It was a stressful situation, with only one weekend to triangulate upon the perfect property for a family of six. From then on, you managed the transaction for us while we closed up shop on our home out of state. If we were to buy again in Northern Virginia, we would absolutely ask for your help in listing and selling our current home, as well as finding a new one. We highly recommend you to all of our friends now who are evening thinking about it! The nicest part about our real estate transaction is that we've come away with a new home and a new friend. Thank you so much, Laurie! You are a great real estate professional who is caring, and knowledgeable of the market. She really works hard to meet and exceed your expectations and needs! She helped me find the perfect place with a perfect price and perfect time! The dust is beginning to settle at our new home in Oakton, and I wanted to send you a long overdue note of gratitude. You were a steadying hand in what could have become a contentious situation. And, your understanding of a changing tide in the market was invaluable. You pushed, gently, when we needed to be pushed. You calmed us when we needed to be calmed. In sort, we thought you were fabulous in all respects. We will recommend you without hesitation, and when we are ready to move again, we will call you (and only you!) again. Thank you for your outstanding service. Thanks so much for the update and all your work in finalizing this transaction. You have been invaluable in moving things forward, knowing just what to do and whom to contact for information or tests. Please add me to your list of individulas who will be happy to recommend you as an excellent, extremely knowledgeable real estate agent/representative. It's luck, and also our REALTOR Laurie Mensing, for making things happen when we were not around to take care of so many things while we are out of state. Laurie took my case even though it wasn't her usual million dollar listing! I love her! Words cannot express the gratitude we feel when we think about all the hard work and hours you put into finding our first home for us-our perfect home! We had our fair share of ups and downs in the home buying journey, but know we would have never found this home without you. You went to bat for us, picked us up when we felt down, and you really did treat us like family-putting our desires and needs above everything else! You were made for this career and we are so blessed to have crossed your path! Thank you for the very bottom of our hearts, Laurie. Because of you, Quinn will know what it feels like to grow up on a strong, permanent foundation. Superb in every way. Helped us buy under list, sell above list, and get through the entire process with minimal stress. Could not possibly recommend Laurie more highly!